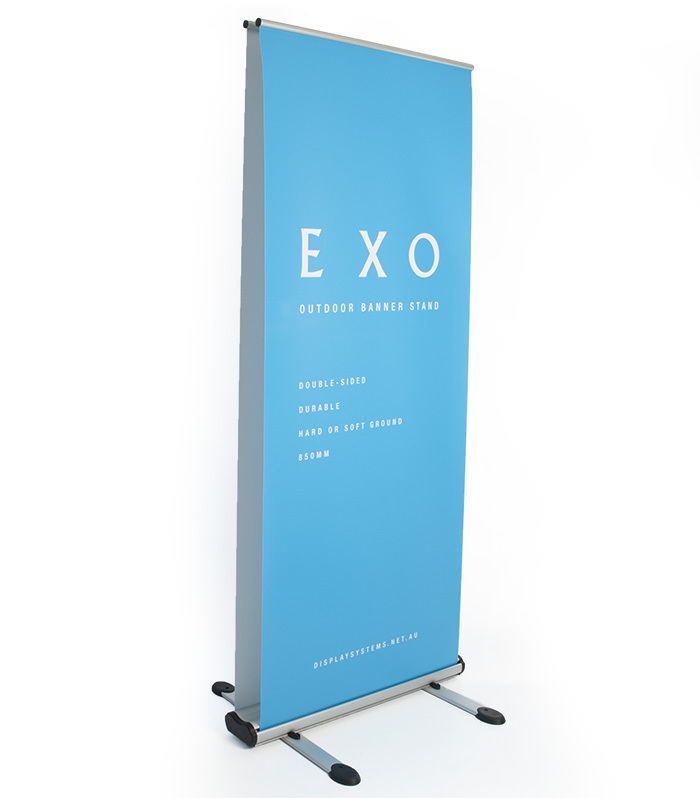 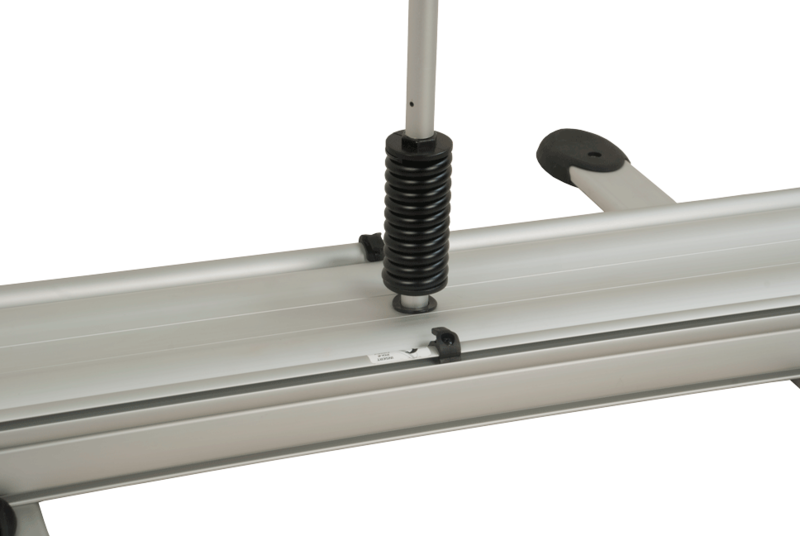 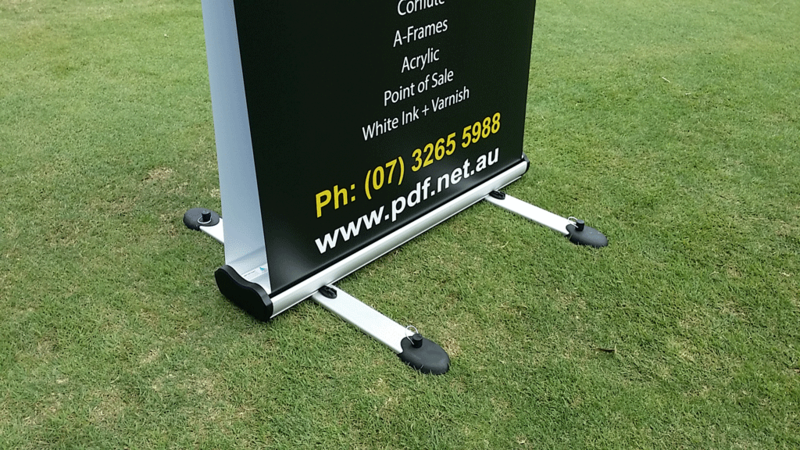 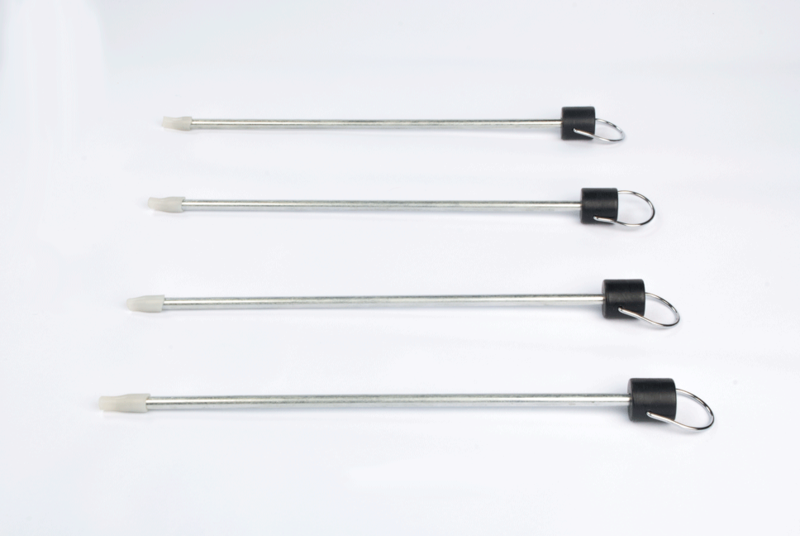 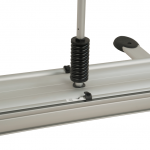 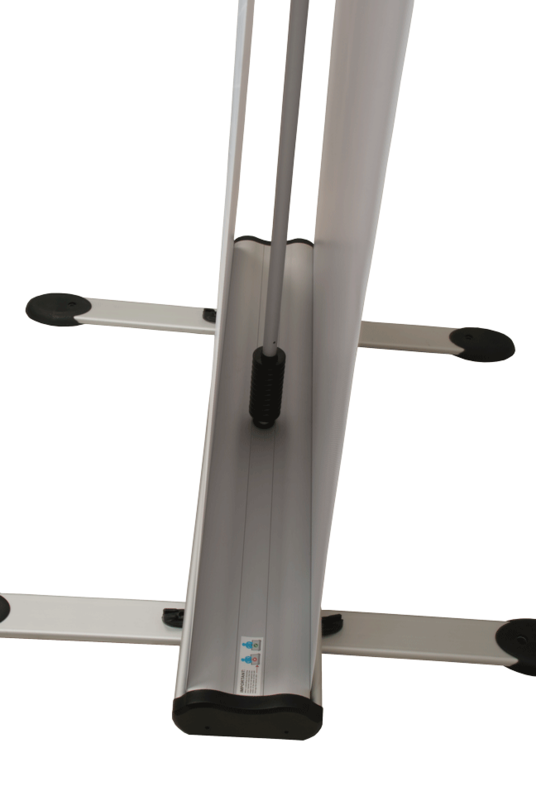 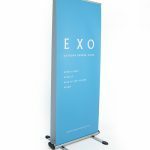 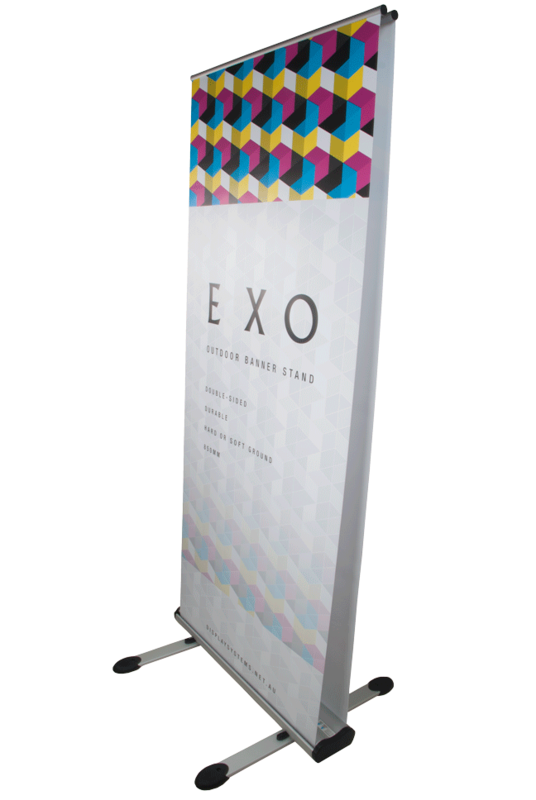 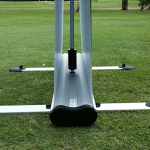 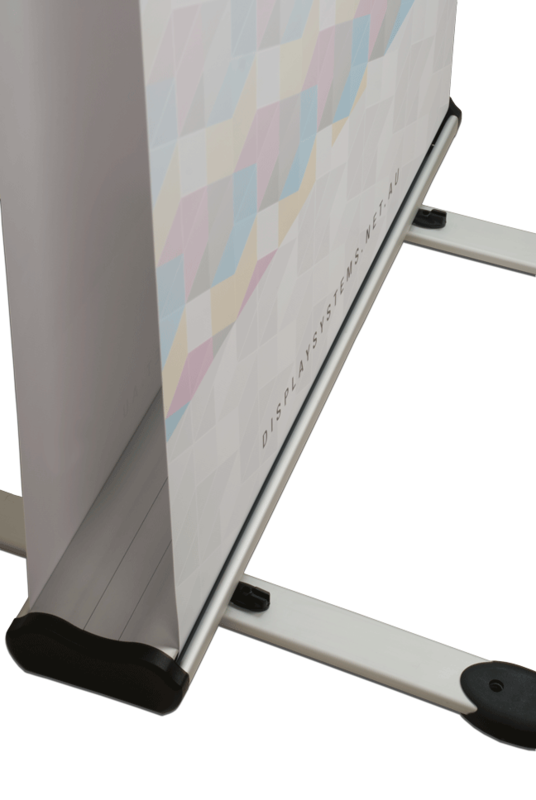 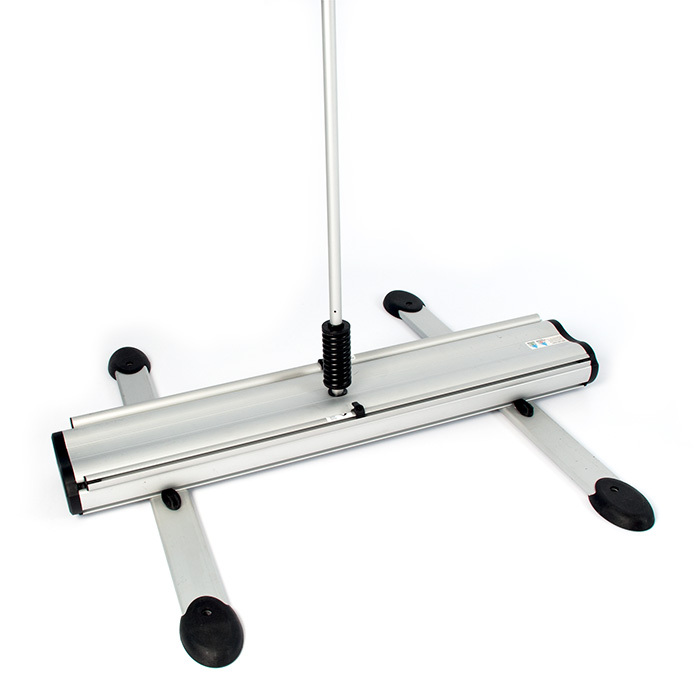 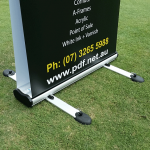 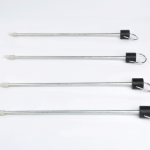 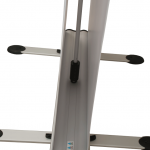 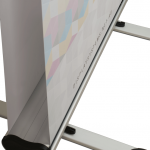 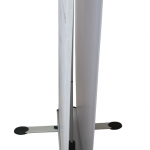 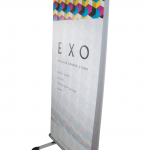 EXO is a rugged, double sided, heavy duty banner stand that is perfect for outdoor use. 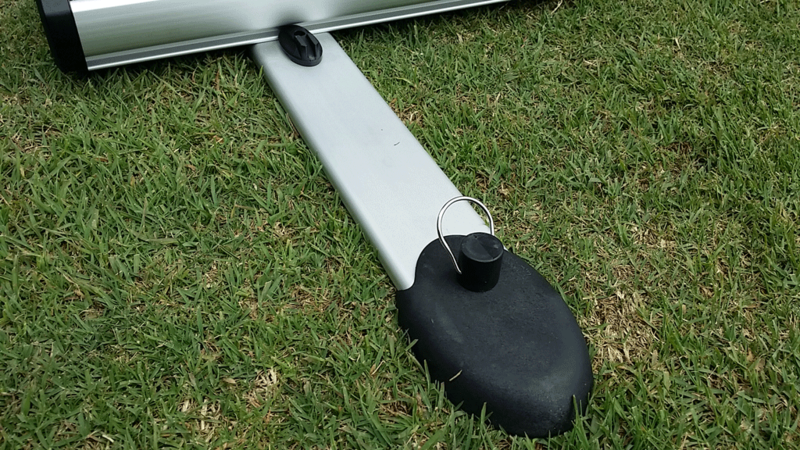 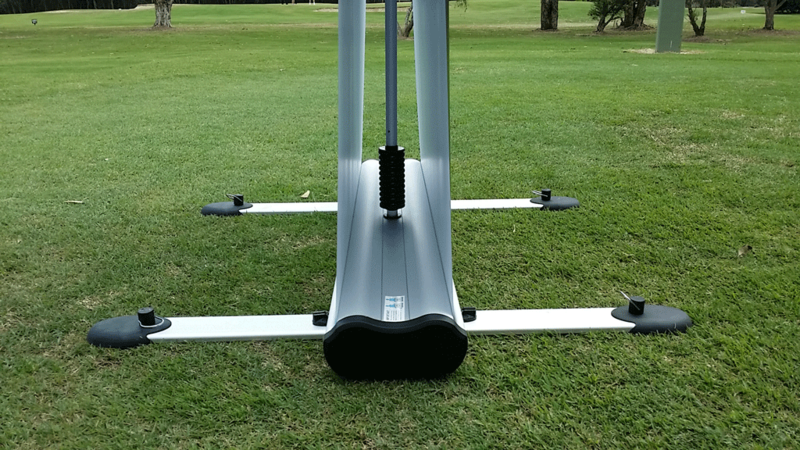 Featuring detachable stabilising feet, anchoring pegs and a solid, yet flexible, central pole, EXO will remain standing even in the toughest conditions. 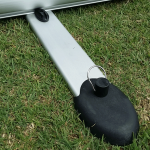 Comes with a bag.